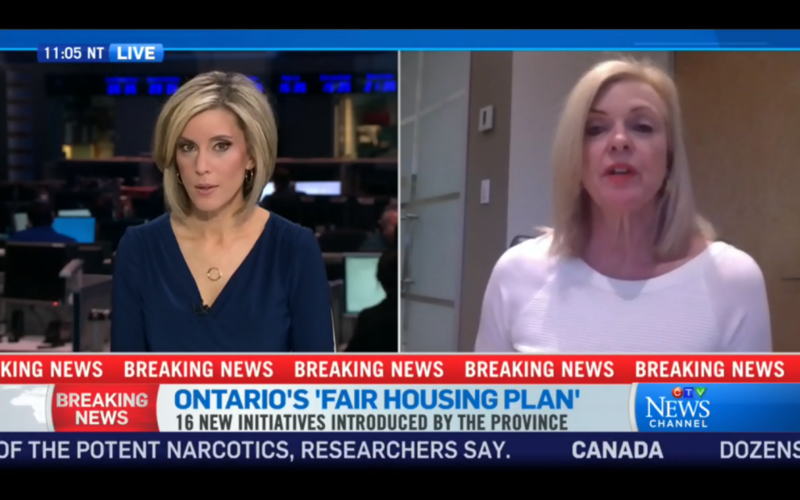 Yesterday, (April 20th, 2017) Ontario Premier Kathleen Wynne announced more information regarding the efforts to cool the housing market in Southern Ontario. 15 per cent tax on property purchases by foreign buyers. This tax is aimed at targeting speculators and excludes foreigners who buy properties to live in while working or studying in Ontario. The existing rent control system will expand to cover all tenants with rent increases capped based on the inflation rate. Other measures include a rebate of development cost charges to encourage building of more rental housing, a standardized lease document and regulations on flipping pre-construction units. April 20, 2017 9:00 A.M. Introducing legislation that would, if passed, implement a new 15-per-cent Non-Resident Speculation Tax (NRST) on the price of homes in the Greater Golden Horseshoe (GGH) purchased by individuals who are not citizens or permanent residents of Canada or by foreign corporations. Ontario's economy benefits enormously from newcomers who decide to make the province home. The NRST would help to address unsustainable demand in this region and make housing more available and affordable, while ensuring Ontario continues to be a place that welcomes all new residents. The proposed tax would apply to transfers of land that contain at least one and not more than six single family residences. "Single family residences" include, for example, detached and semi-detached homes, townhomes and condominiums. The NRST would not apply to transfers of other types of land including multi-residential rental apartment buildings, agricultural land or commercial/industrial land. The NRST would be effective as of April 21, 2017, upon the enactment of the amending legislation.Refugees and nominees under the Ontario Immigrant Nominee Program would not be subject to the NRST. Subject to eligibility requirements, a rebate would be available for those who subsequently attain citizenship or permanent resident status as a well as foreign nationals working in Ontario and international students. See technical bulletin for further information. The government will introduce legislation that would, if passed, strengthen the Residential Tenancies Act to further protect tenants and ensure predictability for landlords. This will include developing a standard lease with explanatory information available in multiple languages, tightening provisions for "landlord's own use" evictions, and ensuring that tenants are adequately compensated if asked to vacate under this rule; prohibiting above-guideline increases where elevator work orders have not been completed; and making technical changes at the Landlord-Tenant Board to make the process fairer and easier for renters and landlords. These changes would apply to the entire province. The province will work to understand and tackle practices that may be contributing to tax avoidance and excessive speculation in the housing market such as "paper flipping," a practice that includes entering into a contractual agreement to buy a residential unit and assigning it to another person prior to closing. Working with municipalities to better reflect the needs of a growing Greater Golden Horseshoe through an updated Growth Plan. New provisions will include requiring that municipalities consider the appropriate range of unit sizes in higher density residential buildings to accommodate a diverse range of household sizes and incomes. This will help support the goals of creating complete communities that are vibrant, transit-supportive and economically competitive, while doing more to address climate change, protect the region's natural heritage and prevent the loss of irreplaceable farmland. As part of the implementation of the Growth Plan for the Greater Golden Horseshoe, 2006, enough land was set aside in municipal official plans to accommodate forecasted growth to at least 2031. Based on discussions with municipalities across the region, the government is confident that there is enough serviced land to meet the Provincial Policy Statement requirement for a three year supply of residential units. The Greenbelt provides important protection of natural heritage and farmland, and neither the area of the Greenbelt or the rules about what can occur inside of it will be weakened. The upcoming Growth Plan will promote intensification around existing and planned transit stations and will promote higher densities in the suburbs to support transit.